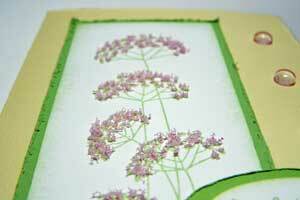 I made this card for my Flower Soft tutorial over at Splitcoaststampers. The Product Review Team gave Flower Soft a try, and our reviews are posted here. There are a total of three tutorials for this review, with the others being written by Beate (they're fantastic...check them out HERE, and HERE). It's my daughter's birthday today, so I imagine it will be a very busy day. I hope to make it around blogland soon though, as I am so far behind! Thanks for dropping by!! This is jsut a nice subtle card. really feel like spring and easter. Shame the weather is so wet outside and doesn't feel so much like spring! Love the effect of the distress borders... FAB. Thanks for the tutorial links! I'll have to try that sometime. Happy Happy Birthday to your daughter!! So soft and pretty Rose Ann, a gorgeous Spring card. Your card is just gorgeous Rose Ann!! I really must try that Flower Soft - looks so pretty!! So soft and pretty Rose Ann! RoseAnn this could not be a more perfect image for the Flower Soft. What a gorgeous delicate card!! Rose Ann, this is just gorgeous! Super job Rose Ann you rock!!!!!!! This is so pretty Rose Ann, so soft & sweet. And your tutorial rocks! A very happy birthday to Brooke!!! Such a beautiful card, love the effect of the flower soft, I must give it a try! This is gorgeous!!! I haven't used my Flower Soft yet......it intimidates me! Happy Birthday to your daughter! Hope you both had a great day! Oh that flower soft really makes a card, doesn't it? I love it! And Happy Birthday to your daughter!! How gorgeous Rose Ann! I'm waiting for some Flower Soft - should arrive next week. Then I'll be glued to all the tutorials and reviews! Just so very pretty...love the idea of this product! Wow, this flower soft product is very intriguing. I love the soft flowers you made on your card. So lovely! Happy birthday to your dd! It sounds like birthdays in your family are bunched together much like mine. This is so soft and sweet. Great layout and color combination Rose Ann!